The Central Texas DX and Contest Club (CTDXCC) is a group of amateur radio operators in the Central Texas area with a news special interest in amateur radio DXing and radiosport contesting. Most of the membership is from the Travis, Williamson, and Hays counties of central Texas, with most club members living near Austin, Texas. We always welcome visitors and new members! 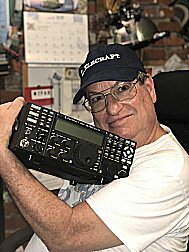 High Performance Amateur Radio in Central Texas. The best way to keep up with CTDXCC news, including program details for the club meetings, is to subscribe to the club email reflector. You do not need to be a club member to join the discussion. The K3S drawing was held at the CTDXCC meeting on August 7. The final recipient of the CTDXCC K3S is Bruce Carroll, WA3RHW, of Mount Laurel, NJ. His comments: "I am so excited about getting the K3S. I am a member of the Frankford RC. 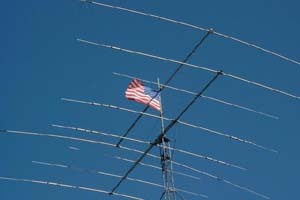 I am hoping to have it on the air for the NJ QSO Party on Sept. 15 and 16." To find out about operations approved for DXCC credit, check out the ARRL site. You can also filter on Contesting news. Keep up-to-date with all the latest DX operations worldwide at the NG3K Announced DX Operations (ADXO) web site. There's an amateur radio contest almost every weekend, and CTDXCC members regularly operate in phone, CW, and RTTY events. To find out about upcoming contests, check out the ARRL Contest Corral or the WA7BNM Contest Calendar for dates and links to contest rules and other information. The next CTDXCC club meeting is coming up soon at Mimi's Cafe, 10515 N. MOPAC EXPY. NB BUILDING O, AUSTIN, TX 78759 TX. Please see the Meetings Calendar for exact dates. There will be a pre-meeting dinner at Mimi's at 5:15 PM. Visitors are always welcome! Fall is coming and October will be here before you know it. Our next CTDXCC meeting on Tuesday, October 2nd 6:30pm will feature Gene Hinkle K5PA and Tom Parish KB5RF to tell our story about a collaboration to run FT8 remotely in Marquette MI. We will briefly cover some of the issues of building the remote station. Yep, there is a story there. The main focus is to cover why FT8 is gaining in popularity and demo various features of interest including the DXpedition Mode. We plan to talk for 35 minutes and allow another 15 minutes for Q/A. And yes, we’re going to run the FT8 demo live! Everyone is welcome. Bring a friend. We start the meeting at 6:30pm. See you on the bands.